Should the Food Movement Embrace Soda Taxes? In his The Wealth of Nations, Adam Smith displayed an uncanny sense of fairness and proportionality. He considered the progressive and regressive attributes of various forms of taxation, which included singling out “sugar, rum, and tobacco” for public levies. The highly influential economist wasn’t basing his product selection on moral grounds (a pre-cursor to “sin taxes”) or current health data – Mothers Against Drunk Driving and Surgeon General warnings were still a couple of centuries down the road. He knew, like everyone else in the eighteenth century that human well-being did not rely on these three profitable commodities. To tax them would harm no one’s ability to purchase essential goods. Of these three wicked sisters, however, only sugar has escaped the tax collector’s purse. Science and public health proponents long ago made an air-tight health case against the overconsumption of alcohol and tobacco, branding them once and for all with scarlet letters. Only recently, aided and abetted by the diabolical brilliance of the food and beverage industry’s marketing campaigns which have pushed American soda consumption to the top of world’s charts, has sugar joined the rogue’s gallery of bad stuff. It is now squarely in the sights of the tax authorities’ guns as we see from the imposition of sugar-sweetened beverage taxes in Berkeley, Boulder, Mexico, Philadelphia, and the Navajo Nation. And now America’s mayors, starved for new sources of politically palatable revenue, have set off on a gold-rush of sorts to tax every ounce of sugar-sweetened beverages (SSBs). But as I look at this flurry of soda taxing activity around the nation, I have to ask myself, why are we suddenly emboldened to take on Coke, Pepsi, and the nation’s other sugar pushers? Do we want to raise municipal revenue, reduce the consumption of sugar-sweetened beverages, or really improve human health? Can we in fact have it all; can turning SSBs into SOBs and taxing them until Big Sugar bleeds out be the silver bullet we’ve all been searching for? The evidence on the deleterious health effects of sugar is virtually ironclad. When a 20-ounce bottle of Coca-Cola contains 65 grams of sugar, and health experts tell us that we shouldn’t consume more than 50 grams per day (25 grams being the more desirable level); when our obesity and overweight rates have risen two- to three-fold since 1994 due in large part to an overconsumption of calories, a disproportionately large share of which are derived from beverages; and when dental caries, diabetes, and host of other human illnesses are linked to the overconsumption of sugar, we shouldn’t have to waste any more time making the case against sugar. Already the public thrust and parry of soda’s attackers and defenders have raised America’s consciousness sufficiently to lower sugar-sweetened soda consumption by 25 percent, as reported in an Alternet article quoting the New York Times. In spite of this decline, we maintain the highest rate of soda consumption in the developed world, and much of that decline can be attributed to a higher income, well-educated demographic whose recent arc of history bends unwaveringly toward self-improvement. The poor and people of color, with an unjust consistency, drink more sugar-sweetened beverages, suffer from higher rates of overweight and obesity, diabetes and hyper-tension, and of course have less money to purchase higher quality, nutrient-dense foods. And due to the regressive nature of all sales taxes, they will pay more as a percentage of their household food budgets if and when soda (and any other food products) is taxed. All income groups drink too many SSBs – and a considerable amount of high-calorie, high-fat food items as well. But the good news is that most of us are also eating more healthy food such as fruits and vegetables. Most of us, that is, except lower income households. There, we continue to see diets that fall far short of the recommended amounts of healthy food. According to the University of Connecticut Rudd Center for Food Policy and Obesity as quoted in the Washington Post), “Americans are pretty poor eaters, but SNAP participants have particularly bad diets. They don’t eat nearly enough fruits or vegetables, and they consume too many fats and sugars.” Herein lies the rub with public policy’s earnest attempt to tackle a glaring health problem through taxation; yes, we must deter the consumption of unhealthy food, but we must, even more stridently, empower people to eat healthier food. So, is the emphasis on soda taxes the right one? Is it what we need to have a major impact on health, especially among populations that suffer most from unhealthy food choices? The scientific consensus appears to be answering affirmatively, though there is one BIG BUT. In a journal article in Obesity Reviews, 2013, “Assessing the Potential Effectiveness of Soda taxes… the authors conclude, “The revenue generated from a tax on sugar-sweetened beverages would be considerable and could be used to help support childhood nutrition programs, obesity-prevention programs, or health care for the uninsured or to help meet general revenue needs. A national tax of 1 cent per ounce on sugar-sweetened beverages would raise $14.9 billion in the first year alone.” Given that some cities are proposing 2 cents per ounce, the revenues – along with the quality of healthy eating programming – could be considerably more on a national basis. An article in Preventive Medicine (April 2011) echoes the same conclusion: “The public health impact of beverage taxes could be substantial…. To the extent that at least some of the tax revenues get invested in obesity prevention programs, the public health benefits could be even more pronounced.” In other words, those in the nutrition and public health fields, including community food activists and other practitioners, have come to recognize the value of multiple interventions. As we have seen with efforts to bring new supermarkets to neighborhoods that are poorly served by healthy food retail outlets, simply loading up brightly lit aisles with lots of fresh and colorful produce isn’t enough to radically change eating behaviors. A single intervention, whether building a supermarket or slapping a tax on a can of Coke, needs to be accompanied by numerous healthy eating initiatives such as food education, labeling, cooking programs, and other evidence-based strategies. Noteworthy by their absence were taxes or levies on SSBs. Though a significant reduction in SSB purchases was achieved without benefit of a tax, just imagine what the size of the soda reduction might have been if a tax was part of the whole package. As we see all too often, new revenue sources are the bright and shiny objects that mesmerize our elected officials with their potential to fund pet projects. And when those sources are “nowhere necessaries of life,” all the better. The more mayors can avoid raising property taxes or cutting popular programs to fund their wish lists, the more they can ensure their future electability. Not that mayors don’t have nice pets. In my town of Santa Fe, New Mexico, the mayor wants to use SSB revenues to make room for 1,000 lower income children in an early childhood education program. In Philadelphia, a 1.5 cents per ounce levy on soda is starting to be used for a similar early childhood program, and will hopefully generate enough funds for the renovation of parks and recreation centers. Seattle’s proposed two cents per ounce tax will also be used to fund education. But in Boulder, Colorado, the two-cents-per-ounce tax must be used, according to the language in the ballot measure that passed by 8 points, for “the administrative cost of the tax, and thereafter for health promotion, general wellness programs and chronic disease prevention.” The ballot also noted several examples of appropriate uses, including improving access to clean water, healthy food, nutrition education and physical activity. In California, Assembly Bill 2782 would use a two-cents-per-ounce “health impact fee” on the distribution of sugary drinks to establish the California Health Fund which would “address the epidemics of Type 2 diabetes, dental disease and heart disease and stroke in California.” Projections show that the tax would generate $3 billion annually. Meanwhile, back in Santa Fe, the well-intentioned Mayor Javier Gonzales has rallied support for a SSB tax around a complex proposal to expand pre-K education. He and a team of well-funded supporters (foundations have been pouring money into the Santa Fe campaign, though they don’t come close to matching the $2 million that the beverage industry is allegedly spending to defeat the tax) have turned pre-K into a mantra that has worked its proponents into a lather. As much as the campaign has trashed SSBs, hardly a word of support for healthy eating campaigns or a single dime of the proposed revenue stream will go to obesity reduction efforts. The Santa Fe Food Policy Council (I am its co-chair) was asked to support the initiative, which requires a special referendum vote. It did vote in favor of the proposal but recommended that funds be used to fund healthy eating education. More than likely, the Food Policy Council’s concerns will become roadkill in the frenzy to raise money for pre-K.
That’s an unfortunate outcome for the large number of this community’s Hispanic and Native American children whose overweight and obesity rates are nearly double those of white/Anglo children. Cities across the nation may be falling into the same pattern of neglect as the mob rises up to stone Coke and Pepsi while turning its back on this generation’s victims of Big Soda. At the very least, cities that steer all their potential SSB tax revenues away from nutrition programs, no matter how inherently worthwhile the other options may be, are missing a gigantic opportunity to mount a massive assault against this country’s greatest public health crisis. Taxing the bejesus out of those empty calories that have stacked up the nation’s dead, like cordwood, is the best thing we can do short of banning SSBs outright. But if we don’t back up those public policies with the multitude of proven healthy eating interventions, then we will squander our best opportunity to stem obesity’s deadly toll. Look no further than tobacco taxes for evidence of how effective this approach can be in helping cut back unhealthy behaviors. However, in my experience in Massachusetts, the windfall dollars were rapidly raided to pay for other budget needs, sometimes for public health but often not. I recently heard an anecdote from a friend who used to work at the state Department of Public Health; the head of the state lab and a high-ranking political appointee used to defiantly take their cigarette break on the steps outside the main entrance to the DPH offices. And this was during Mitt Romney’s tenure as governor! Thank you Mark for a wonderfully researched and thorough analysis of a complicated issue. In my conversations with colleagues, I remain one of the only nutrition/public health people who is adamantly opposed to SSB taxes. I believe they are undeniably regressive and only heap further economic punishment on people we have already determined have limited options to healthy and affordable alternatives. I remain perplexed as to why conversations about taxing SSBs seem to begin and end with soda. There are more than a few ‘Grande’ sized coffee beverages available at the local Starbucks with sugar contents above 65grams (and that’s without the whipped cream!). Yet, I’ve not heard or read a single article about sugar taxes on exotic coffee drinks. If you can afford $5+ for a single cup of coffee, then you can certainly afford the taxes. A real act of solidarity with underserved communities would be a flat tax/penalty against companies and businesses that make healthier options more expensive than junk foods and SSBs. Case in point, why does a bottle of water at the local burger joint cost more than 2x the cost of a 30oz ‘cup’ of overly sweet iced tea @ 54g of sugar? Punitive forms of taxation should be levied against bad corporate actors in the food system and not their victims. If we must resort to taxation, then perhaps it should be to punish operators who overcharge for healthy options while giving away the junk food nearly free. Good, good, good. Particularly good about the effects on consumption of media debate. We need packages of interventions and lots of consumer education. I’m just preparing a presentation covering much the same ground, but a bit more global. What a treat to read. I’ve heard the argument that imposing a soda tax essentially just taxes the public twice as ag subsidies have already triggered the over-abundance of high-fructose corn syrup in the first place. I’m wondering, from the standpoint of policy advocacy, is soda taxing really the way to go or is that just asking the elephant in the room to hide behind the drapes? When looking at the SSB tax and whether it would help or hurt the American pubic, I think we need to step back and look at the state of the American public as is. With the obesity crisis currently being endured, there needs to be multiple initiatives to help the well being of the American citizen. The example of the tobacco tax was perfect in that we saw that if the product is still desired then people will pay for it and when they do they extra tax money can be taken and put towards a health or wellness program. Perhaps using this money to educate the public on how detrimental SSBs are for their health, which could then bring SSB consumption down even further. This is not taking away anyone’s rights because they will still have the choice to purchase it, but will think twice about if it is really worth the money. However, when looking at the lower class who do have less purchasing options, they need different options that are not taking a toll on their body when consumed. Nutrition Scholar at Texas State University. The article is regarding caffeine unhealthy for youth however the sole stat is used to back-up this claim doesn’t break down age or if the caffeine was mixed with alcohol. hospital room visits are additionally terribly broad considering, however, protecting oldsters square measure for kids. Death by caffeine is extraordinarily rare. Thanks for this helpful article. This is a great analysis of the SSB debate that is widely mentioned across our country. I appreciate the focus on this issue and the different points made. I strongly believe that a tax on SSB might just be a “slap on the hand” that may not result in the decrease of obesity and chronic conditions we battle in the United States. That is, if the SSB tax is not paired with additional forms of nutrition intervention. I think that the focus should shift from punishing for “bad behavior” to accompanying the tax with more affordable, healthier options as well as cooking classes, nutrition education, increasing access to water, and healthier marketing strategies. It would be a great opportunity to target the root of the problem and enlighten people on the importance of making healthier choices as well as bring awareness to policy changes that should be made to achieve these healthy goals for our future. 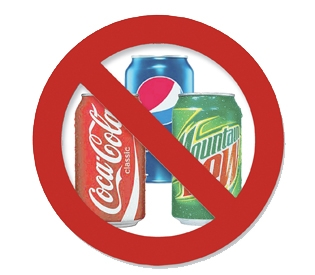 As nutritionist and current public health program coordinator I do believe a taxes placed on sugar sweetened beverages or any food for the matter that causes adverse health implications. I say that due to the evidence that shows people are over consuming these types of beverages. Simply limiting these beverages does wonders for blood glucose levels and reduces chances of developing diabetes dramatically. I first hand saw someone on Facebook who lived and Chicago upset about the tax on soda and exclaimed that he would more than likely NOT purchase one for a while due to the expense. This topic I believe is one you cant expect everyone to jump for joy about however it is something people will eventually get over, as they do everything else. We have seen this work with cigarettes and tobacco products, at one point the average person thought it was safe to smoke cigarettes! Point of this comment is just because it hasn’t killed you yet, doesn’t mean its good for you. I enjoyed reading your article! As a nutrition scholar, the topic of sugar sweetened beverages is one that I hear about all the time, and rightfully so. The people of the United States are in crisis and many are completely oblivious to the gravity of the issue. In my opinion, there should be no question of whether or not a tax on soda is an appropriate policy move. Yes, people of lower socioeconomic status will be affected more greatly by the tax, but unfortunately, that is nothing new here. What is the United States, if not the “Land of Disproportionate Wealth”? I think claiming that a tax such as this should be “fair” in regard to who it affects completely misses the bigger picture. Soda delivers excessive calories without providing any nutritional benefits. The American Heart Association recommends a maximum daily consumption of added sugars of 36 g for men and 25 g for women; 12 ounces of soda, one serving, exceeds this recommendation. Furthermore, the consumption of sodas is positively correlated to an increased risk for both diabetes and obesity, two of the most wide-spread health struggles facing our nation today. According to CDC data, over 36% of adults and 17% of children are obese and over 30 million adults suffer from diabetes in the United States. Additionally, 84 million adults have prediabetes; if conditions for these people remain the same, they can expect to have type 2 diabetes within the next five years. While I see where some people may feel uncomfortable with the idea of “big government” applying taxes on a food/beverage product in the attempt to dissuade consumers from consumption of that product, the astronomical health costs related to soda consumption require that we reconsider with a broader scope. Perhaps more focus should be placed on education, in addition to incorporating a tax on soda purchases. I struggle to believe that sales and consumption of these products would be so high if consumers were more readily confronted with the real-life dangers associated. And, as you mentioned, the money gained from the taxation of sodas could (and should) be used to fund health promotion programs, not only to educate the public on optimal nutrition choices, but also to incentivize the purchase of healthier options, like fruits and vegetables.